Recognizing our clients' needs around mergers and aquisitions (M&A) and performance improvement we have expanded Aon M&A Solutions (AMAS) capability significantly. 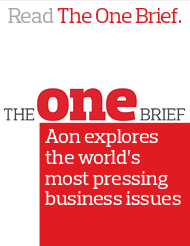 AMAS has been rebranded and expanded into the Aon Strategic Advisors & Transaction Solutions practice (ASATS). The role of the practice is to serve as a trusted advisor to clients undergoing a business change or transition. The goal of ASATS is to work collaboratively with all the practices to deliver integrated capability and new, high-impact solutions that are highly relevant to our clients. Bringing our solutions together allows us to offer comprehensive solutions across the full scope of your risk and people challenges. Visit the ASATS site to learn more.